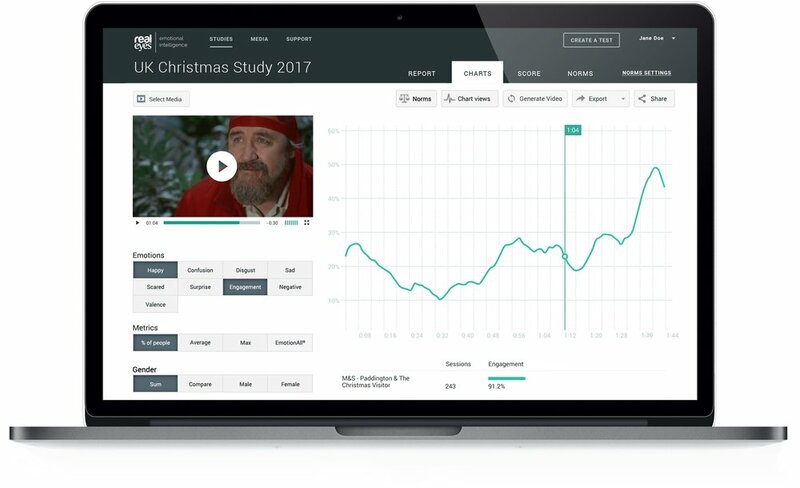 November 6, 2018 - David Waterhouse of Realeyes writes: The John Lewis ad is almost here – and with it the official start of the Christmas period. Sure, it’s less than two months till Jesus’ birthday, but they do say it comes earlier every year. Of course, it’s not too early for a lot of brands and agencies, who’ve probably spent most of the year with December 25 circled in their marketing calendars in marker pen. And they’ll be itching to know what the UK retail store has come up with this year. Whether it’s lovelorn penguins or trampolining pooches, John Lewis commercials have become as much a part of the Yuletide tradition as watching It’s A Wonderful Life on the telly, eating too many mince pies and your gran falling asleep in front of the Queen after one too many sherries.